The last few weeks I have been very busy with a lot of other things and so I have not had much time for shooting pictures and writing articles. But now I have finished my Solitaire for the Tru(e)ly Silken KAL with Kristen. 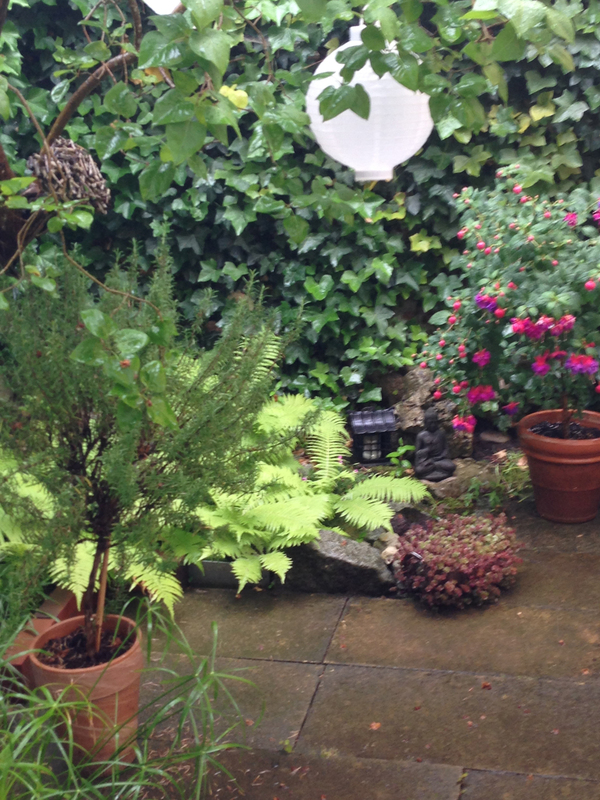 And I have managed to do some pics, although the weather was very wet and cold in the last weeks here in Germany. Before I will show you some pics of the finished garment I will lose some words about the yarn I have used. 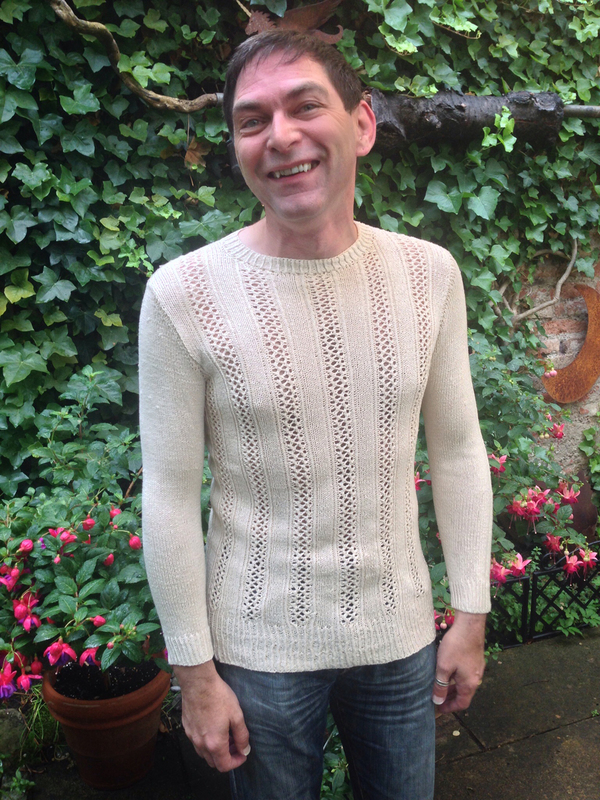 The garment is knitted using Rowan Truesilk (100% silk) a new Rowan yarn for this summer. It comes in 1 vibrant shades and I have used shade Serene 330. The yarn has a chain construction and is a little bit stretchy. It was a delight to knit with it. It produces a fabric which is very soft and drapy and it feels cool and soft on your skin. As you see the finished garment has a subtle sheen and a perfect stitch definition. This yarn is very delicate. One strand of this yarn is very thin and during knitting you may easily catch one of this thread and unluckily you have produced a little spot. And you should always take care of your nails! In the next picture you will see some to the spots on the sleeve. Nevertheless this yarn is knitting up beautifully and I surely will knit another garment using this yarn. At last, before I show you my finished Solitaire, I will say some words about my inspirations and modifications of this design by Martin Storey. This time it was a real challenge to modify this garment, it is so feminine. But what makes it look feminine? If you have a closer look to the original design, you will realize, the lace stripes forming the hem and neckband will not work for a male design. 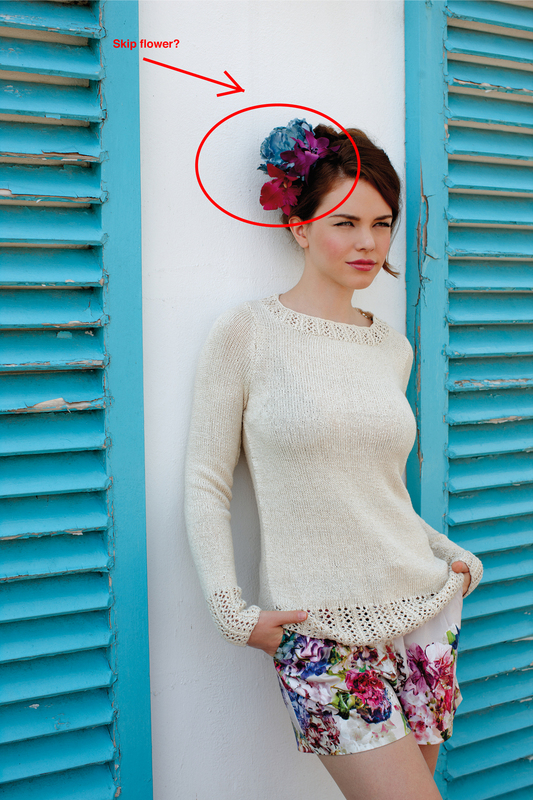 This element of the design makes the garment looking feminine. It is not the side shaping of the garment or the close fitting, the lace is the key element of the design. 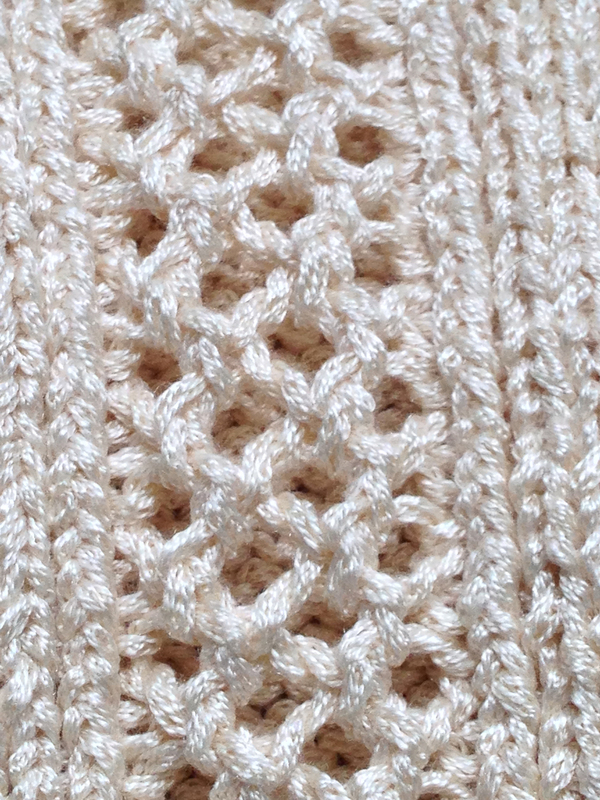 This is a KAL where Kristen and I wanted to show you, how you can take a design and change it for your purpose. It should not only be a reproduction of the given design. I tried to look at the design and take the elements of it and modify it for my purpose. In this case, change it to a male garment. The next step was easy. In this years fashion shows stripes are the main key element of the designs. 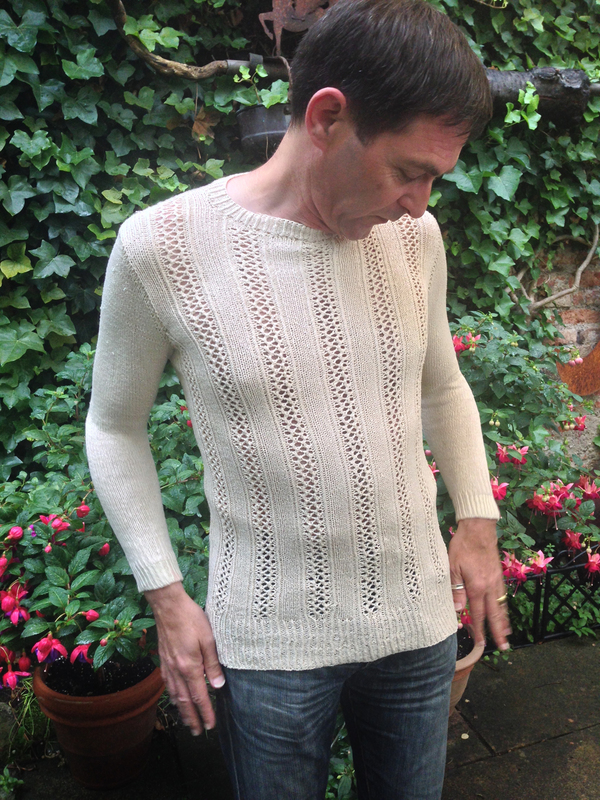 If you look at the design of Martin Storey, you will see the stripes formed by the lace. But for a male design they simply are on the wrong place. So what to do, just changing the place of the lace and extending it on the front. This year is also the revival of mesh lace. I’m truly a child of the 80’s and I remember those mesh shirts we are were wearing then, mostly over a t-shirt or a short-sleeved shirt. The lace used in this design has a little touch of this mesh lace of the 80’s. The lace should be an eye-catcher and not overwhelming, the lace stripes are therefore divided by stripes of plain stockinette stitch of the same wide and the sleeves and the back of the garment are knitted in plain stockinette stitch. Because of the ktbl detail of the lace I decided at last to knit the hem and neckband in a simple * ktbl, p.
Well and I skipped the flower! 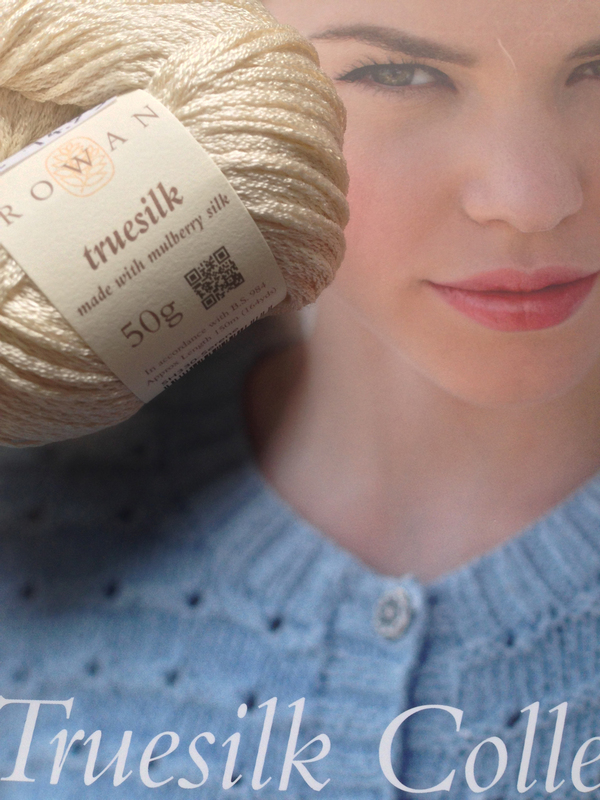 Tomorrow the new season Autumn/Winter 2014/15 is starting and the new yarns will be in your LYS. 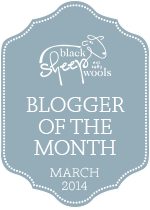 I only say: stunning designs and lovely new yarns are waiting for you! Don’t forget to jump over to Kristen and look what she has done with her Solitaire. Ingenious modification the way you were able to keep the spirit of the original pattern, but still make it very different. Dear Konrad, you have made a fabulous job of modifying this design and it looks great. I must also congratulate you on the gorgeous shawl you made for Kristen you are a truly brilliant knitter and Kristen looks even more beautiful in this lovely Garbo shawl, what a lovely gift. Kind regards Cilla Rule. 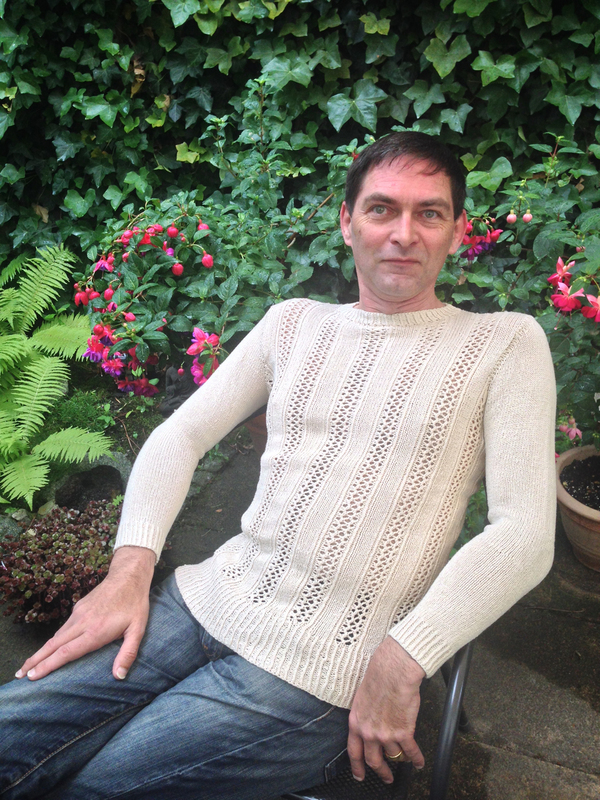 Your jumper is the perfect masculine equivalent of Martin Storey’s original. Very impressive. You’re a genius! It turned out perfect Konrad!